This 103-unit building, designed by Rosario Candela, was purchased by the Chetrit Group in conjunction with Tessler Development and converted to condominiums in 2006. Bracha New York was hired by the Chetrit Group in 2009, during a soft market, to sell the 12 remaining sponsor units of the total 103-unit building. With no marketing budget and only one piece of marketing provided at the sponsor’s cost, a four-story tall sign draped across the corner duplex apartments, we were able to sell nine of the 12 units for a range of just under $1,000/SF (for dark interior facing units) to $1,200/SF (for units facing 58th Street and 6th Avenue). Seeing the success of our sales, Tessler Development decided to list their remaining sponsor units with us as well. The remaining marketing materials (investor packets, ten-page brochures, postcards, and online e-brochures) were all created in-house by our marketing director. The revamped marketing, as well as the office that was staffed for regular working hours six days a week, allowed us to give these units the attention they gravely needed. In the span of a month, we received two fully executed contracts for the last two remaining 3-bedroom duplexes leaving only one 2-bedroom sponsor unit remaining. The remaining sponsor units at this 50-unit pre-war building were purchased by Extell Development Company. 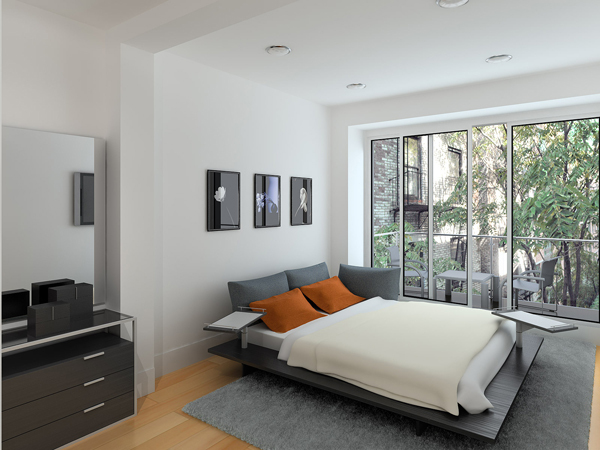 As the rent stabilized tenants vacated, the developer would renovate the interiors. Extell gave us the opportunity to sell the newly renovated units, however they all faced the back of the building and received very little natural light. Furthermore, over half of the building is either sponsor owned or investor owned making the building impossible to be approved for financing. Out of the six units we were given, we sold four to cash buyers, the fifth unit closed within a week and the last unit is in contract on a no financing contingency basis. Our in-house marketing director took new photographs of the interior units as well as the neighborhood so that the buyer’s focus would be driven away from the old façade and common area interiors. We also switched many prospective buyers from our adjacent Windsor Park development to great success. We sold the units to all cash investors as well as foreigners buying for their children (also all cash). This nine residential unit condo development was designed by William Q Brothers and developed by Vintage Group. There were a few challenges to this project. First, although the building is mostly new construction, it did not qualify for a 421(a) tax abatement because a portion of its structure was from the original building. Secondly, the development was situated almost directly across from the Salvation Army on 14th Street between 6th and 7th Avenues. Bracha New York took over the sales and marketing duties from Core Group in May of 2009. Loft 14 originally began its marketing in 2007 with Core. From that time to May 2009, Core had only delivered one signed contract from a buyer who failed to close on the unit. We ended up selling eight of the nine units in a period of four months where we revamped the website, conducted vigorous open houses every Sunday, targeted the brokerage community with a new email blast campaign and switched buyers who initially showed interest in vastly different locations like Midtown East and the Upper West Side. The developer originally decided to keep the last unit for his use but we presented him an offer from a buyer that he simply could not refuse. 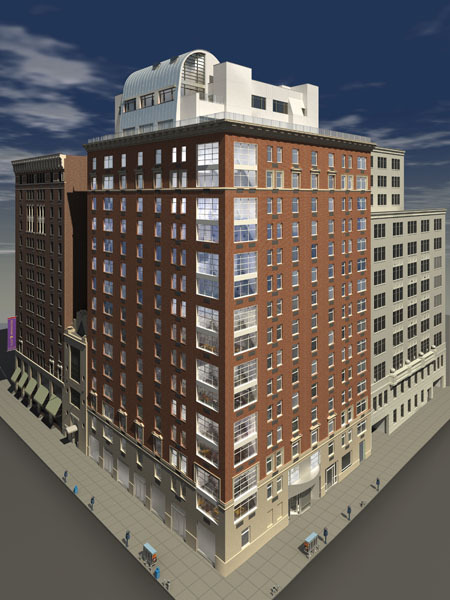 The development fully sold out in May of 2010. This 23-unit new construction condo development was designed by Philip Johnson & Alan Ritchie and developed by Vintage Group. 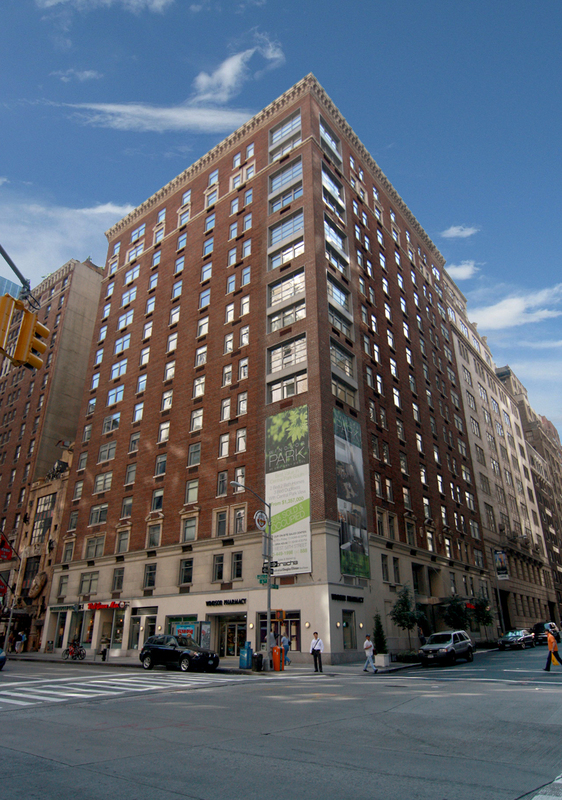 This mid-block sliver building is located between Fifth Avenue and Madison Avenue across from the Cornell Club. Bracha Group took over the sales and marketing duties of this development from Core Group in November of 2009. Number 5 Condominium originally began its marketing in 2007 with Core. From that time to November 2009, Core only delivered 10 contracts (eight of which actually closed) and most of those contracts were signed in 2007 and the beginning of 2008. In just the first two months, we put six of the units into contract and in November of 2010, we have one lower floor back facing one-bedroom unit remaining. We attribute our success in selling this property to a number of the similar measures that we took at Loft 14. The updated website, along with active outreach to the brokerage community and open houses flooded with literally 18 to 20 separate buying groups, allowed us to generate the level of traffic and offers to achieve our contracts and sales. 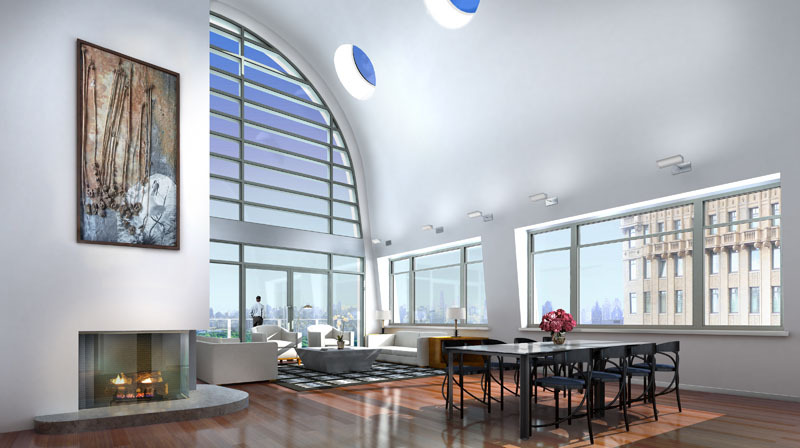 We were also able to switch our client's interest toward this project because we would bring them and other brokers who expressed interest in our other developments like Windsor Park, 120 West 58th Street, Loft 14 and Central Park West Towers to come visit the development. The developer enjoyed two to three times the amount of showing activity due to the Bracha New York name. Located on the Upper East Side, this 127-unit condo building developed by the Mattone Group and DeMatteis Organization has had its share of challenges. During construction, a fatal crane accident took place and caused damage to a neighboring building. The building also was built on land leased by the City of New York, forcing the developers’ hand to build a co-op as opposed to the much more attractive condo. The crane accident, along with the inherent issues with the land lease and its maintenance and pilot program, created severe challenges for the previous marketing team, Brown Harris Stevens. During the two years of its sales and marketing service for Azure, Brown Harris Stevens could not achieve one signed contract. In April of 2010, Bracha New York was hired to take over the sales and marketing. We immediately staffed the site with one of our top agents to serve as sales director and added an administrative assistant. We then rotated a roster of talented buyer agents to assist the sales director with appointments and lead follow ups. We continued to operate the sales office seven days a week. In conjunction with newly staffing the sales office, we hired a public relations company to reintroduce the development to the press and public at large. We also worked closely with the existing advertising company to help create a fresh new marketing image that would work in unison with the PR team’s message. Working with the PR team and advertising team, we were able to schedule and execute a series of events on- site to attract brokers and buyers alike by teaming up with neighborhood restaurants, retailers, and accomplished authors. Our team worked closely with third party web developers to revamp the website switching it from flash to html so that its Google web ranking increased on a constant basis. We also employed a team for web optimization further pushing the development into the eyes of prospective buyers and brokers. Within one month of our hiring, we were able to cross the threshold of putting over 15% of the building in contract and thus achieving cooperative effectiveness. We quickly moved to 30% in-contract or sold. In the fall of 2007, Bracha New York was hired by the developer Property Markets Group to help with the sale of Herald Towers, a condo conversion project at 50 West 34th Street. In order to turn the building into an effective condo project, Bracha New York was given 45 days to sell 15% of the building’s units to primary residents in order to beat the condo conversion deadline. Within the same week of being hired, Bracha New York staffed an on-site sales office with seven highly experienced sales agents and a back office staff. The on-site sales staff worked 12 hours a days and seven days a week. Due to these extraordinary efforts, Bracha New York was able to put into contract 114 units (surpassing the 15% required by the Attorney General to green light the conversion) in just two weeks. PARTNER WITH A TEAM THAT GETS THINGS DONE. Bracha New York has completed well over $2 billion in transactions and has established an impressive global network of clients with asset portfolios valued at more than $10 billion. Please fill out this short form if you wish to receive more information, or wish to speak with a Bracha New York representative.